new inversion methods based on partial-differential-equation (PDE)-constrained optimization. This project represents an unparalleled opportunity to couple state-of-the-art field experimentation with state-of-the-art computational tools for the purpose of imaging the subsurface at resolutions and length scales until recently unattainable. June, 2010. The University of Texas at Austin brought their Tri-Axial Vibroseis, T-REX, to Garner Valley to perform various surface wave tests. 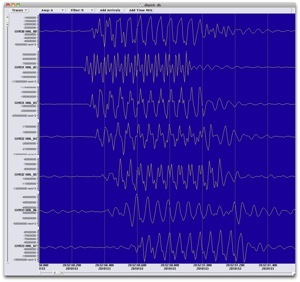 T-REX can produce sine wave and pulse shaped waves at a broad range of frequencies. 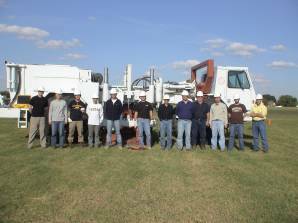 The recordings are analyzed to determine subsurface features and soil properties. 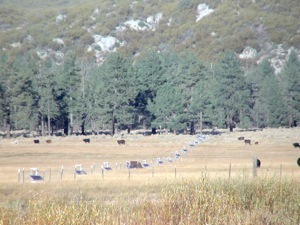 The linear array deployed across Garner Valley was operational from April, 2008 until January of 2009. It captured hundreds of earthquakes, including the magnitude 5.4 Chino Hills event. The stations are spaced 50 meters (164 feet) apart. Tests were conducted at the Hornsby Bend biosolid facility in Austin Texas using equipment from both the NEES@UTexas and NEES@UCSB equipment sites. Seismic instruments were deployed along a grid at the surface, and the "liquidator" shaker was used to generate signals that would propagate out through the underlying soils and be recorded by the instruments. This initial test was conducted to improve our understanding of the shaker source capabilities within a range of frequencies from 0.5 to 16 Hz. 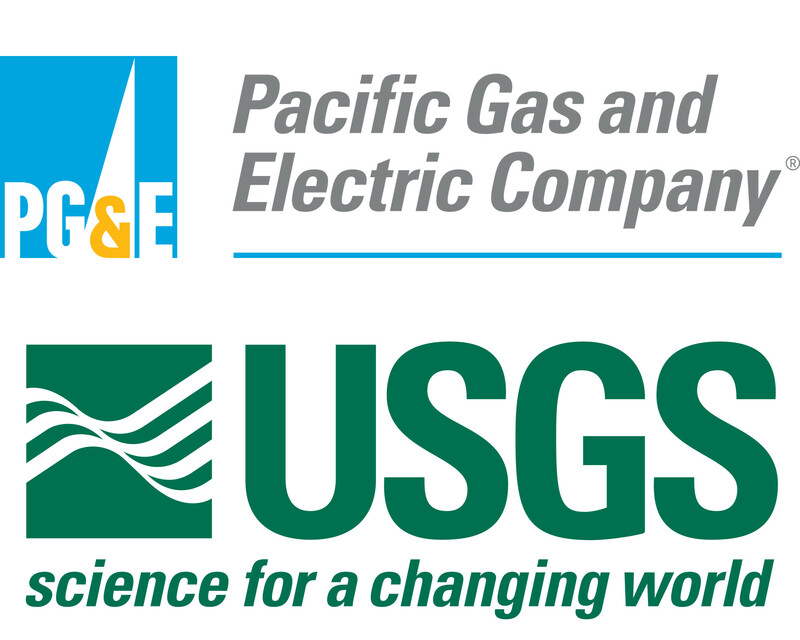 These tests will help in planning of the future testing to be performed at the NEES@UCSB Garner Valley site.